For over a decade, when you think of tight ends for the Dallas Cowboys, one name comes to mind - Jason Witten. While Witten's value in the silver and blue throughout his career has been unmeasurable, his fantasy value has been inconsistent. Witten was the 10th highest scoring TE last year, according to NFL.com. However, Witten's fantasy problems begin with his inability to establish any consistency. He scored just double-digit fantasy points twice last season. His top performance, a 15-point game in the Cowboys' division-clinching win over the Colts, was followed by just a 4.9-point output against Washington the following week. 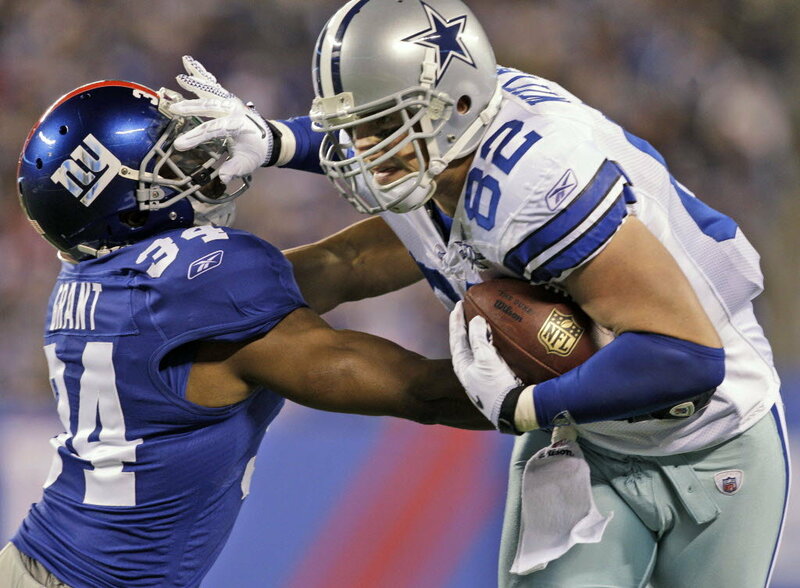 Witten's only other double-digit performance was against the same Redskins team in week 8. This trend makes it nearly impossible for fantasy owners to decide when to use Jason Witten. That task may be even harder this season with Cowboys' fans hopeful that third-year tight end Gavin Escobar will become more of a threat in the passing game. The Cowboys will likely use a high percentage of two tight end sets, with Dez Bryant and Terrance Williams playing on the outside. From a fantasy perspective, Witten seems to be the odd man out in this group. As for Escobar, he may have some fantasy value as a late round pick and bye week plug-in. I expect him to get more red zone targets with defenses focusing on Bryant, Williams, and Witten. The question is, how often will he get his chances to shine and will it be enough to make an impact in fantasy football? Most leagues will favor a receiver or tight end that accumulates yardage as opposed to short touchdowns. This is why Escobar will have a hard time creating fantasy value for himself unless he can score multiple TDs per game. Overall, my advice for Cowboys' fans and fantasy players alike is this - look elsewhere for your fantasy tight ends, dominate your league, and watch Witten and Escobar dominate where it matters, on the football field in 2015! Fantasy questions? Ask below or shoot me a tweet @ShoreSportsNJ! Tell us what you think about "Cowboys Tight Ends, 2015 Fantasy Football Outlook" in the comments below. You can also email me at Sean.Martin@InsideTheStar.com, or Tweet to me at @SeanMartinNFL!